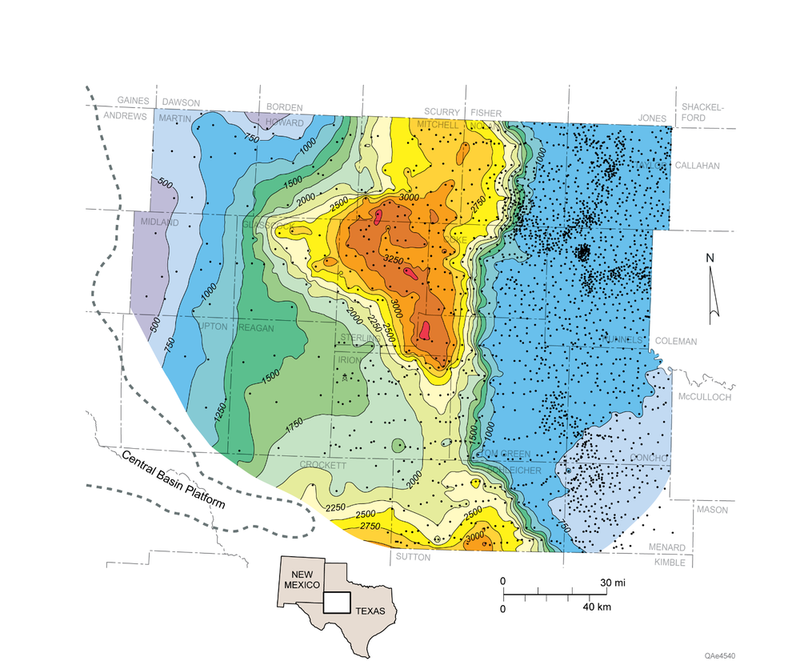 Isochore map of the Wolfcampian upper Cisco Group showing location of wells used in the study. Thickest strata coincide with a depocenter of much-thickened slope systems comprising siliciclastic and carbonate debris-flow deposits and thick sections of slope mudrock. Slope sandstones and limestones are among the most productive facies of the southern Eastern Shelf.